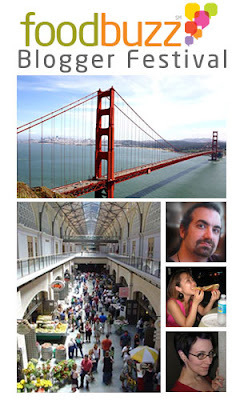 I am so very excited to be joining about 200+ food bloggers at one of my favorite cities (although I've only been there once) for Foodbuzz Blogger Festival in San Francisco! This promises to be a fabulous weekend of eating, meeting new people, seeing Anna banana, and maybe doing a bit of shopping. I hope to get some sleep on my flight from DC to San Francisco after a night of volunteering and last minute packing. Will do my best to take detailed notes and photos to report back all the great adventures. "See you" all back on Monday! How exciting. I hope you will blog about it, I'd love to hear what goes on. It was great to finally meet in person! You and your sister are so sweet. Looking forward to your recap!